EIDU’s primary goal is to achieve social impact. They see early childhood education as a key factor in reducing the global opportunity gap. The ability to use mobile technology to improve educational conditions worldwide is in reach – at a fraction of the cost of other alternatives. In a few years, smartphones will be ubiquitous even in the least developed regions of the world. EIDU believe there is immense potential in harnessing smartphones as a teaching tool – it all depends on the software, and they are creating an app-based learning environment that enables children aged 3-6 to develop cognitive abilities on their own. 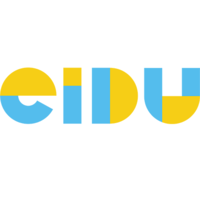 EIDU chose to approach their mission by founding a technology startup and are confident that their business model will allow them to develop a highly competitive product, as well as to attract the most talented people in the field. Despite their strong focus on technology and economy, the convictions that drive them are deeply humanistic, not technocratic. An innovative equity model reflects their focus on impact: rather than benefiting the first generation of founders only, it is designed to drive purposeful entrepreneurship for all employees over the course of a full decade. Behind EIDU is a team with a decade-long common history of building and marketing highly innovative and successful software products. They want EIDU to be a place for growth, supporting people to make the best out of their talents. Employing agile principles on all levels, their organisational culture empowers people to act and make decisions autonomously within their domains. Simple and effective processes remove obstacles that hinder people from getting their jobs done, as well as involve them in shaping the organisation. EIDU is headquartered in Berlin, Germany, with employees from 10 different countries. Team members are also based in Nairobi, Kenya and Mexico City. For more details on this EIDU role, positions in Kenya and any Movemeback opportunity across Africa, apply today to become a member.